Eyre Crowe’s sister, Eugenie, was born in 1827. In 1850 she married Robert William Wynne, a medical doctor, and moved to his home at Llanddulas in North Wales. 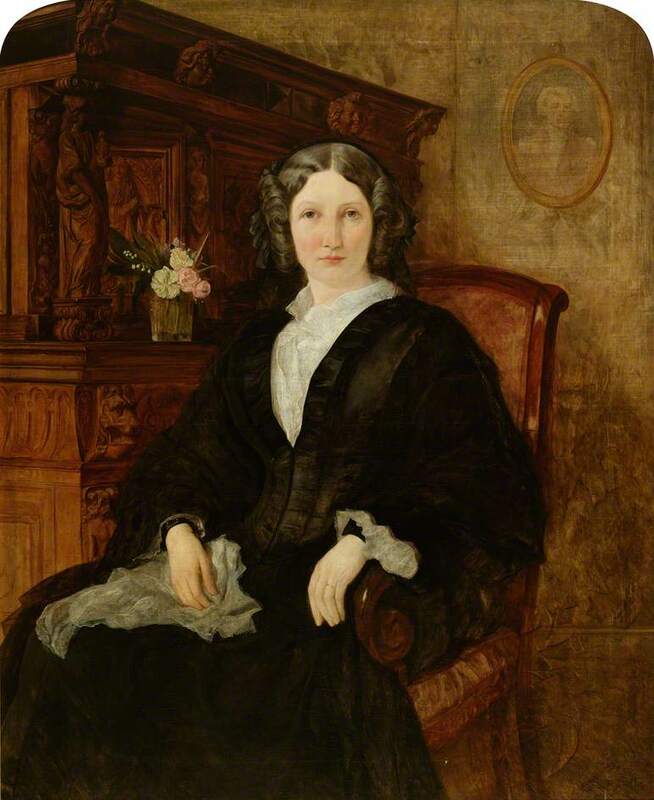 It is presumed that Crowe painted her portrait to commemorate her marriage. Her children and grandchildren are listed here. Eugenie died in Nice, France, in 1899.